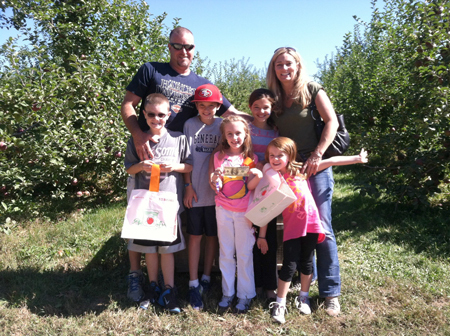 More Pick Your Own $100 Bill Winners! For the second weekend in a row, we stuffed $100 bills into random pick-your-own bags. The cash was a surprise bonus for families who came from far and near to join us for our 100th Anniversary Celebration! Bob and Linda from Amesbury and Woburn brought their crew for a rich experience and were not disappointed! 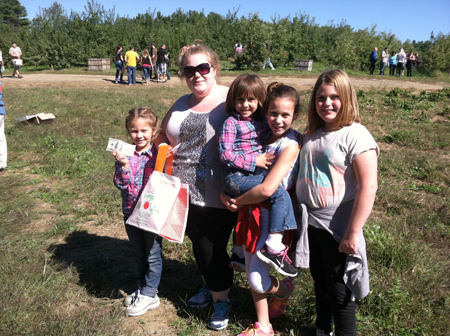 Kaylen and her girls from Weymouth, MA, picked a half-bushel and a benjamin! 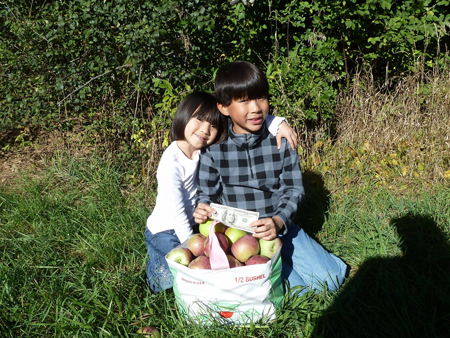 Sarah and David brought home crisp apples AND a crisp $100 bill! Congratulations to all our winners! 100th Anniversary Celebrations still continue through October. See you at the farm!